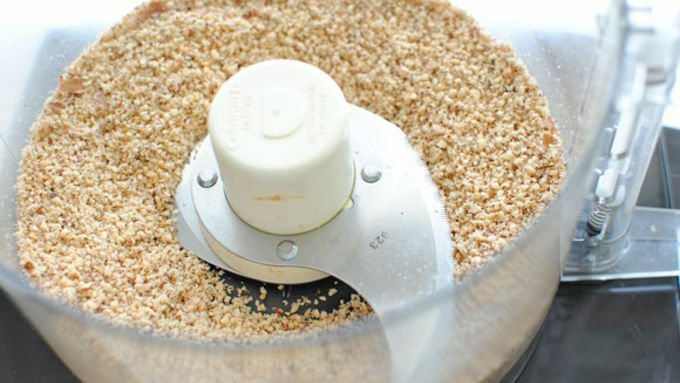 In a food processor, pulse the almonds until finely ground. 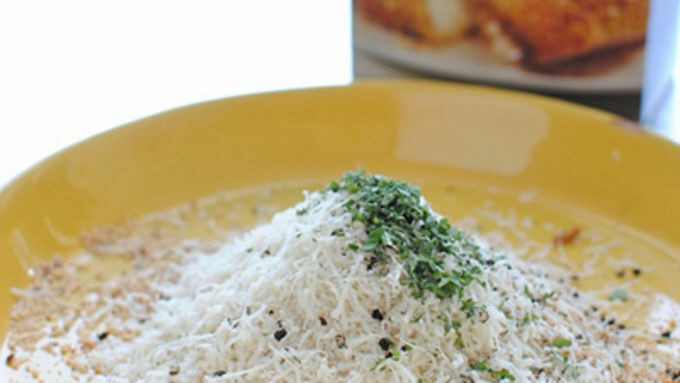 In a shallow dish, combine the ground almonds, panko, parmesan cheese, oregano, a pinch of salt and pepper. 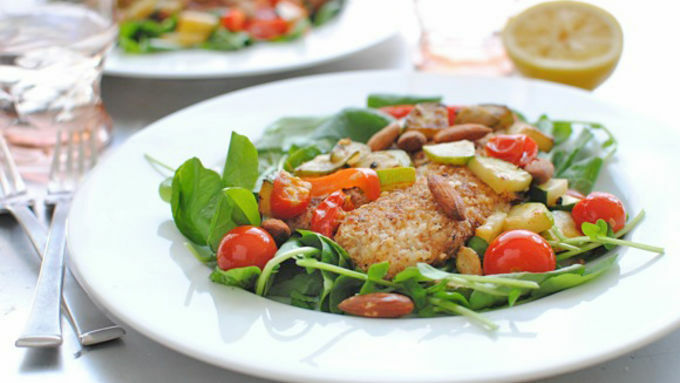 Place the flour in another narrow dish. Heat 2 tbsp. 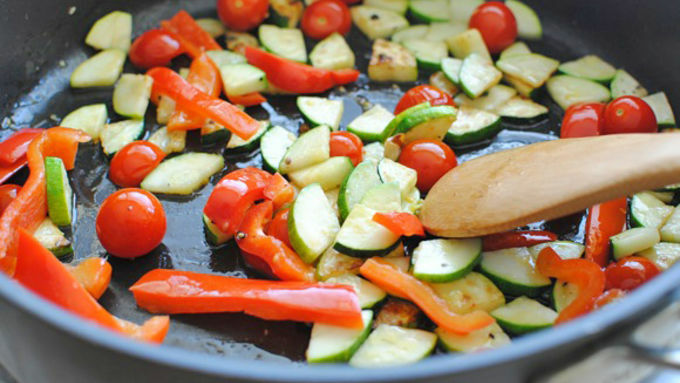 of butter in a medium skillet and sauté the zucchini, tomatoes and red bell pepper until lightly browned, wilted and crisp-tender, about 5 minutes. Season with salt and pepper. Remove from the skillet and set aside. Heat the remaining two tbsp. butter in the skillet. 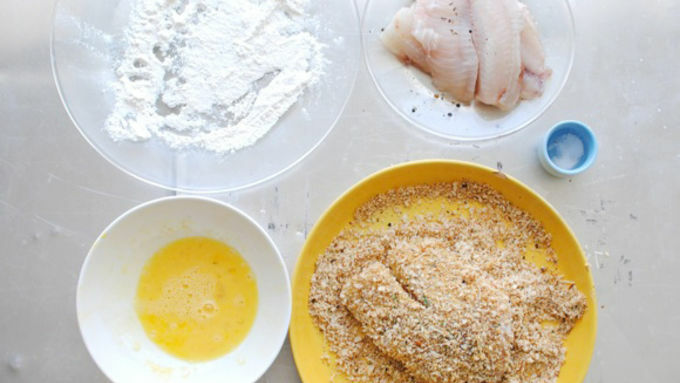 Season each fillet with salt and pepper and dredge them lightly through the flour, shaking off any excess. Dip in the egg mixture, then finally into the almond/panko mixture. Press the coating on both sides of the fish. Sear the fish in the butter until browned and cooked through, 3 minutes per side. Continue with the remaining fillets. 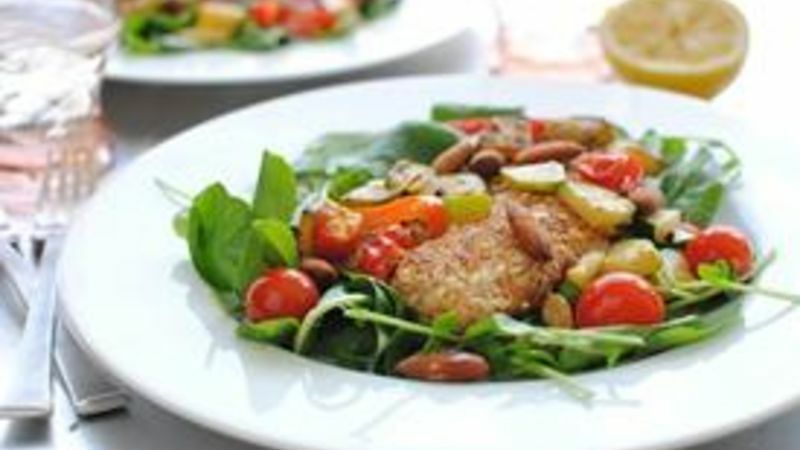 Place fish over a bed of watercress and garnish with the sautéed vegetables. Let's take a poll! Okay, do you call it "crusted" or "encrusted?" I think I say it both ways. 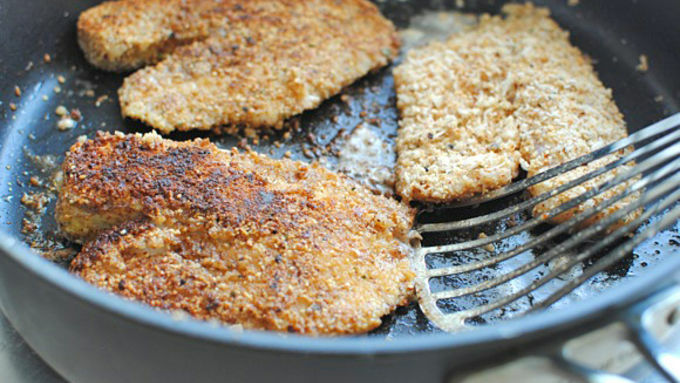 I know for sure I called it "crusted" today when I wrote this recipe. And I know for sure I've called it "encrusted" once before at a restaurant when I ordered this beef tenderloin ENCRUSTED with Spanish bleu cheese. But the times between then and now, I'm not rightly sure what I call it. Wait, I was asking you, wasn't I? Whatever you call it, I love anything and everything crusted. Except nostrils in the winter time. I don't like that crusty business. I'm so going to get edited for saying this. 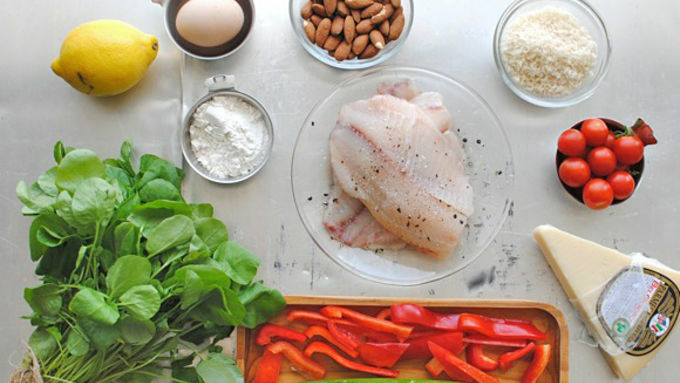 Today we're encrusting and crusting a popular fish, the tilapia. But but but. It's not just any old crusting. We're mixing toasted ground almonds and Progresso panko breadcrumbs AND Parmesan cheese and some freshly chopped garden oregano. Crunchidy crunch crunch, dudes. And you can't ask for anything more glorious when it's served with sautéed garden veggies, peppery watercress and fresh lime slices for that extra ZING that makes you SING. (I love rhyming.) Let's get crusty!